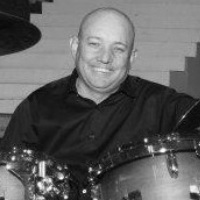 Raised in Bakersfield, CA, he has taught various high school percussion programs for over two decades. Dave has also taught with both the Blue Devils and Marion Cadets drum corps organizations. He is currently the battery arranger/coordinator at Bakersfield College.